Vampire Cat Couple ~ Where's the Party? 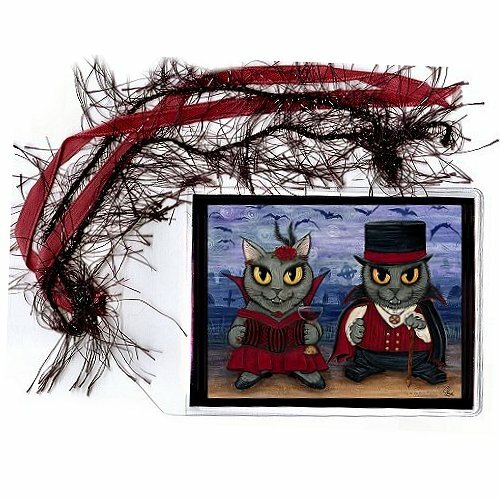 - Note Card - This adorably devious vampire cat couple is dr..
Vampire Cat Couple ~ Where's the Party? 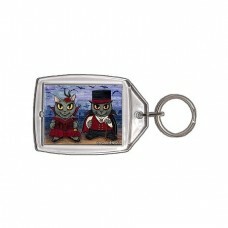 - Keychain - This adorably devious vampire cat couple is dre..
Vampire Cat Couple ~ Where's the Party? 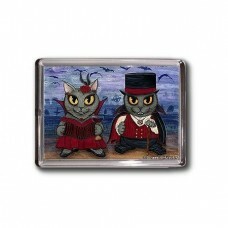 - Magnet - This adorably devious vampire cat couple is dress..
Vampire Cat Couple ~ Where's the Party? - Prints - This adorably devious vampire cat couple is dress..
Vampire Cat Couple ~ Where's the Party? 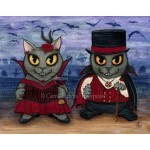 - Limited Edition Canvas Prints - This adorably devious vamp..
Vampire Cat Couple ~ Where's the Party? 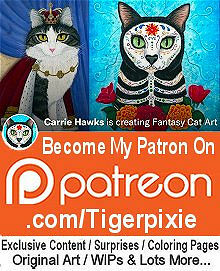 - Bookmark - This adorably devious vampire cat couple is dressed to the nines for a ghoulishly entertaining night on the town. She's decided to start her party a little early with a nice warm glass of... well you know what vampires drink ;) He is looking dapper with his top hat, cape and cane. Vampire Cat Couple ~ Where's the Party? - Note Card - This adorably devious vampire cat couple is dressed to the nines for a ghoulishly entertaining n..
Vampire Cat Couple ~ Where's the Party? - Keychain - This adorably devious vampire cat couple is dressed to the nines for a ghoulishly entertaining ni..
Vampire Cat Couple ~ Where's the Party? - Magnet - This adorably devious vampire cat couple is dressed to the nines for a ghoulishly entertaining nigh..
Vampire Cat Couple ~ Where's the Party? 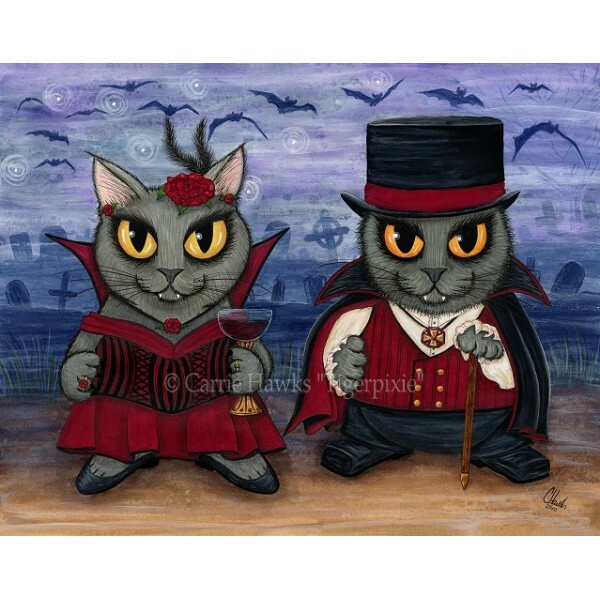 - Prints - This adorably devious vampire cat couple is dressed to the nines for a ghoulishly entertaining nigh..
Vampire Cat Couple ~ Where's the Party? 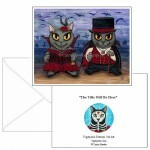 - Limited Edition Canvas Prints - This adorably devious vampire cat couple is dressed to the nines for a ghoul..